Captured Tracks have announced that they’re releasing two classic, hard to find singles by highly influential Scottish post-punk band, The Wake. These two releases book-end the 80′s for the band, as their privately released On Our Honeymoon 7″ on Scan in 1982 was their first (and only) pre-Factory record, while Crush the Flowersis their final release in the 80′s (1989) and their first post-Factory record for the illustrious Sarah label. In conjunction with those two releases, Captured Tracks is also offering a tribute white vinyl 7″ featuring faithful and well-crafted Wake-approved covers of two classic songs by two C/T artists, Beach Fossils and Wild Nothing. Only 1,000 of each 7″ will be pressed. Of those 1,000, there will be an offering of 300 bundles which will have all three 7″s packaged together. The bundle of all three 7″ records will come with reproduced buttons of The Wake. TRANSIT: Boston's beloved TRANSIT recorded these two songs exclusively for Record Store Day 2011. This 7" is strictly limited to 1,000 copies on colored vinyl (300 green/gray - 700 blue/clear). Transit are avid fans of vinyl as are their fans. A Day To Remember are the latest band to announce plans for a limited edition vinyl release to coincide with Record Store Day on April 16th. They will be releasing their single ‘All I Want’ as a 7” single with bonus acoustic version and B-Side etching for the day. The limited edition colored 7” will be released in the US as a clear purple pressing (limited 2,000) and internationally throughout Canada, the UK, the Netherlands, and Australia as a mint green pressing (limited 1,000). On April 8, Nuclear Blast Records will release a limited-edition picture seven-inch version of the HAMMERFALL single "One More Time" from the band's upcoming album "Infected". The vinyl is limited on 500 copies and sold through the Nuclear Blast mailorder only. On the B-side of the single there will be a live version of "Hallowed Be My Name" recorded at the Scandinavium in Gothenburg, Sweden in 2009. The digital version of the single will contain an additional instrumental version of "One More Time". The Vinyl Factory has unveiled its collectible art and vinyl limited edition of the Pet Shop Boys’ new ballet score, The Most Incredible Thing, which includes exclusive PSB music. Inspired by a Hans Christian Anderson short story, The Most Incredible Thing is Neil Tennant and Chris Lowe’s first ever full-length ballet score, produced in collaboration with Sadler’s Wells and choreographer Javier de Frutos. The release of the music by The Vinyl Factory is a jaw-droppingly handsome art edition limited to 500 copies for the world, each hand-numbered and signed by the Pet Shop Boys. The design is by Farrow, who worked with The Vinyl Factory, Tennant and Lowe on the collectors’ edition of the the last PSBs album, Yes, copies of which have sold for over £3,000 at auction. The Vinyl Factory’s deluxe edition of The Most Incredible Thing is a silk cloth-bound, hard board slipcase containing a hardback book with seven record sleeves. Six of these house 180gram vinyl records pressed on the EMI 1400, featuring the Pet Shop Boys’ music for the ballet plus original demo versions of each of the compositions, exclusive to this release. The seventh sleeve contains an over-sized foldout sheet music print, signed by Neil Tennant and Chris Lowe. The ballet’s synopsis is printed onto the record sleeves so that each has an accompanying narrative that reads like a storybook. In 1902, 29-year-old Italian opera singer Enrico Caruso was paid $50 each to record 10 songs on wax for the Gramophone and Typewriter Company in Italy. He would go on to become the world's first recording star. Two years later, he began recording in America for the Victor Talking Machine Company (later RCA Victor). Over a 16-year span, he would earn millions of dollars in royalties from the retail sales of his 260 recordings. In 1965, three of The Rolling Stones, Mick Jagger, Brian Jones and Bill Wyman, were caught urinating against a garage wall in Romford, Essex, after playing the final shows on a U.K. tour. On July 22, they were each fined £5 for insulting behavior. In 1967, after three minor chart makers, an Oklahoma group called Five Americans release their biggest hit, "Western Union", which would rise to #5 on The Hot 100. Also in 1967, The Beatles enjoy their thirteenth US number one single with "Penny Lane". The song's title refers to the busy shopping area around Allerton Road and Smithdown Road in Liverpool where John and Paul would meet to catch a bus into the centre of the city. In 1972, Neil Young started a three-week run at #1 on the Billboard singles chart with “Heart of Gold.” Backing vocals were provided by James Taylor and Linda Ronstadt. R&B charts and reach #14 in the UK. Not bad for a song that writer Eugene Record would later say he was surprised that the record company even wanted to issue as a single. The Clash's first single, "White Riot," was released in 1977. California Jam II was held in Ontario, CA in 1978. Over 250,000 people were in attendance. In 1989, a California radio station arranged to have all of its Cat Stevens records destroyed by steamroller in protest of the singer’s support of Ayatollah Khomeini. In 2001, singer, guitarist, and songwriter John Phillips, formerly of The Mamas & the Papas, died at the age of 65 of heart failure. the late Wilson Pickett (March 18, 1941 – January 19, 2006) was born today. NEW YORK, March 18, 2011 /PRNewswire/ -- This year's crazy winter will continue well into the spring with a blizzard as intense as it gets. On May 17, music fans will have their first taste of re-issues from rock icon OZZY OSBOURNE's catalog of work with the releases of two albums which form the cornerstone of Ozzy Osbourne's career as a solo artist: Blizzard of Ozz and Diary of a Madman (Epic Records/Legacy Recordings). Long revered by rock fans around the world, these two albums created a template for hard rock in the 1980's and beyond as they were marked by the ground-breaking and historic union of Ozzy and the late guitar hero Randy Rhoads. These definitive versions of 1980's Blizzard of Ozz (with previously unreleased bonus tracks) and 1981's Diary of a Madman are available individually on vinyl or CD, or together in a deluxe collector's box. All versions were restored and remastered from the original analog sources by George Marino. For serious fans and collectors, the limited edition 30th Anniversary deluxe boxed set houses the restored and remastered vinyl and CD editions of Blizzard of Ozz and Diary of a Madman, the "Ozzy Live" compact disc. Beyond the music, the box set is highlighted by a variety of exclusives including an expansive 100-page coffee table book, a two-sided wall-size poster, a precise and detailed full-size replica of Ozzy's iconic gold cross that he has worn for 30 years, and "Thirty Years After The Blizzard" DVD. This new "Thirty Years After The Blizzard" DVD chronicles Ozzy's years with Randy Rhoads features previously unseen footage of Ozzy and Randy filmed in 1981 & 1982; it incorporates rare archival photos and films; along with new and revelatory interviews with Ozzy and Sharon Osbourne, Lemmy (Motorhead), Steve Vai, Nikki Sixx, Rob Halford, Zakk Wylde, Bill Ward and more. The DVD also contains over 70 minutes of additional rare live performances and interviews; included is the premiere of more than 30 minutes of newly-discovered never-bootlegged footage of Ozzy and Randy from the Blizzard of Ozz tour shot from the front of the stage at New York's fabled Palladium on May 2, 1981. This new feature is a must-see for aficionados of Ozzy's epic release, Blizzard of Ozz and its pivotal effect on rock & roll history. Blizzard of Ozz and Diary of a Madman are landmark albums that took metal in a new direction in the early 1980's, inspiring whole new generations of rock bands and fans. "Crazy Train," the first single from Blizzard of Ozz, has become one of Ozzy's musical signatures, a perennial on the rock playlists and as part of Ozzy's live performances. 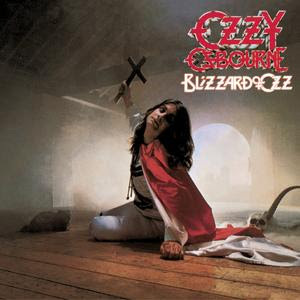 With combined worldwide sales of more than 10 million copies, Blizzard of Ozz and Diary of a Madman have been awarded gold, platinum and multi-platinum certifications in a variety of countries including Canada, Korea, Germany, Italy, Sweden, Brazil, Venezuela, the United Kingdom, Japan and the United States, where Blizzard of Ozz has been certified RIAA 4x platinum and Diary of a Madman is RIAA triple platinum. One of the most iconic figures in pop culture, Rock & Roll Hall of Fame inductee and Grammy winner Ozzy Osbourne has sold more than 100 million albums worldwide, approximately 50 million with his seminal metal band Black Sabbath and the rest as a solo artist.